Well, here it is. You’ve waited so long for this and now it’s here. 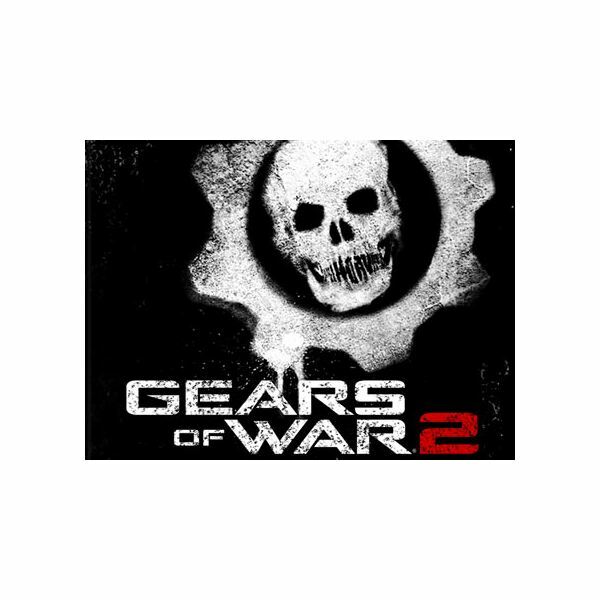 The sequel to the popular futuristic war game, Gears of War 2. The game opens pretty much right where the last game left off, throwing our favorite mega-armed soldiers Marcus and Dom back into the hell that is the Locust attack on mankind. It seems our efforts at the end of the first game didn’t have the finality that we might have hoped, and that they may have even spawned even more trouble for us. From there you make your way through the story in the quintessential level format; one section at a time. On your adventure you’ll meet creatures you’ve only ever ran from, the biggest vehicles you’ve ever ridden on, ninja predator dudes and an adorable little worm. 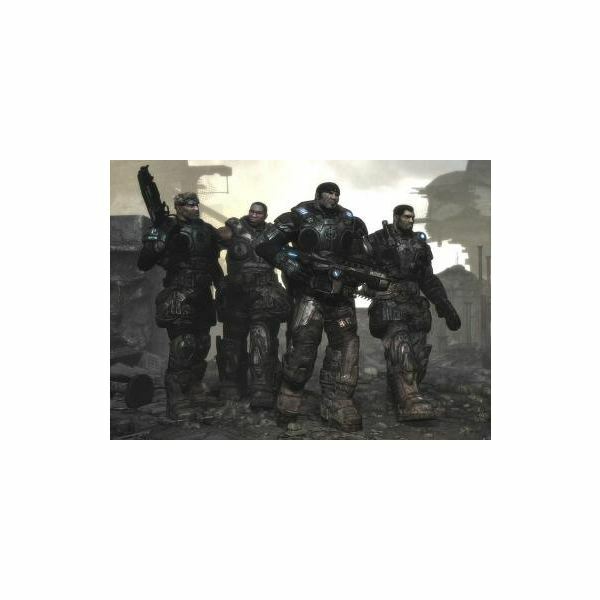 As with the first Gears of War, there isn’t a whole lot of story going on here. The game’s makeup is in its gameplay and that’s fine, especially with this game, which works fine one the basic storyline it has. To its credit, though, Gears 2 took the steps to try and make sure they had a little more story this time instead of just cashing in with the same recipe as the first game. They also get brownie points for making this storyline based around supporting character in Dom, who’s desperate to find his wife who’s been missing since the world went to hell. This adds a level of emotion and drama to the usually highly adrenaline-fueled action of the game. It also works in the fact that it brings a little calmness to the storm and allows you to relax just a bit before everything gets crazy on you again; the same way that a well-placed joke works, which is used a lot here as well. The only quarrel I have here would be the ending, which I can’t say much about because I can’t run around spoiling it for people who have not played it yet. I will say that I think the makers of the game have some issues with endings for some reason. The first game had a sweet main villain, but a weak final battle, so you felt a little let down. Same thing happens here, but to an even worse extent. They find a way to make you excited about certain things and then they don’t let you do them and that’s really a bummer after 10 straight hours of gaming. I’m not sure whether this was strictly to set up a third game or not, but it’s tough to swallow. Fortunately for the game, it’s still fine enough not to be ruined by the story failings. Plain and simply, this game and this series is built on its gameplay. Yeah, you can buy it and you can play online or face the campaign alone, but that’s not what it’s all about. This game is made for you to have a friend come over, sit down with a bunch of soda or beer and just have at it. Relying on your friend to come and save you when you’re crawling away injured, talking out strategies with them when you’re up against a big challenge, pointing out things that you see that they may not. These are the things that make this game so much fun to play; in the exact same vein as the Halo games. If you love first person shooter games and you love playing games through with friends, then this game is absolutely a game you need to check out. There’s no shortage of great graphics here. In fact, they went up a whole level from the first game. Along with the solid graphics, they have many large scale levels that are really impressive to look at. The textures are all clean and realistic looking and you’ll always find yourself looking around and appreciating what you see. Especially when you get to scour the landscape inside an animal… oh yes. In terms of dialogue, you won’t find the best acting you’ve ever heard here. Sometimes it’s dry and flat, sometimes it’s downright cheesy, but nothing that will ever be so bad that it takes away from the game. It all works fine in the end. I think the weirdest part would be knowing the man behind Marcus Fenix is the John DiMaggio, who does the voice of Bender on the show Futurama — something I didn’t know while playing through the first game. As a huge fan of a game’s storyline, you would think I might be shut off by the lack of it here, but I’m not at all. What’s lacking in story is above and beyond made up for in gameplay and just good ol’ fashioned fun times. The game is pretty short at about 9-10 hours, but as mentioned, this game is built to play with a friend, which makes it primed for a one night game-fest. If you require your games to run around 20 hours, then you may not enjoy this so much. I’d actually love to see a new line of shorter games produced strictly for one-night binges and maybe priced a little cheaper than your average. 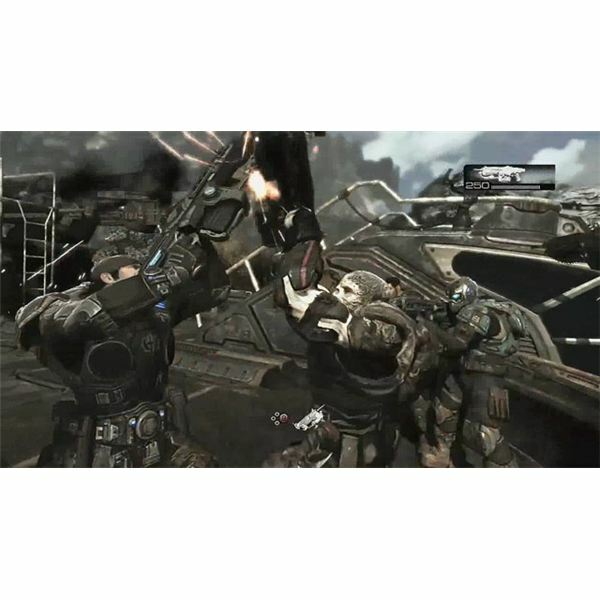 Fortunately with games like Gears of War 2, you have plenty that you can do online, including the popular "Horde" challenge. All-in-all, Gears 2 is a must have for any fan of the FPS and definitely for any leisure gamer or someone who maybe is getting into next gen for the first time.